the guitar after he had had time to get to know it a little. ” I initially came to Wudtone looking for a high-spec Strat copy, specifically with an oil-based finish, top quality wood, high grade electronics & hardware, and I also wanted an upgrade on Fender’s synchronised tremolo system. Your website showed that you could offer all of these, and with the all-important personal touch. Speccing up the guitar has been a fun experience and I enjoyed seeing your regular posts on Facebook documenting the build. Having had it home for a week and a half now I have to say that this guitar is a wonderful instrument. What I like most is that all five pickup positions sound gorgeous, beautifully rich and sweet, and also perfectly balanced in terms of their volume levels. This sweetness and balance encourages the player to experiment with all the sounds on offer. In fact the tone is really imposing, and in a good way! Bucket loads of sustain and some serious low end, but, I should add, still producing quintessential Fender tones. Of course, pickup choice is so subjective and although I’d played a set at your place I didn’t know if the Wuddys would end up as ‘keepers’ for me. I fully expected that I would want to try some other pickups out. I am a tweaker, after all! I will be leaving the Wuddys in for the foreseeable future though. They are absolutely spot on. The bridge pickup is beautifully twangy, but with rich, deep bass too – perfect for Hank Marvin style twang, or, if you dial in the distortion, a seriously huge rock sound. Who needs humbuckers, eh! 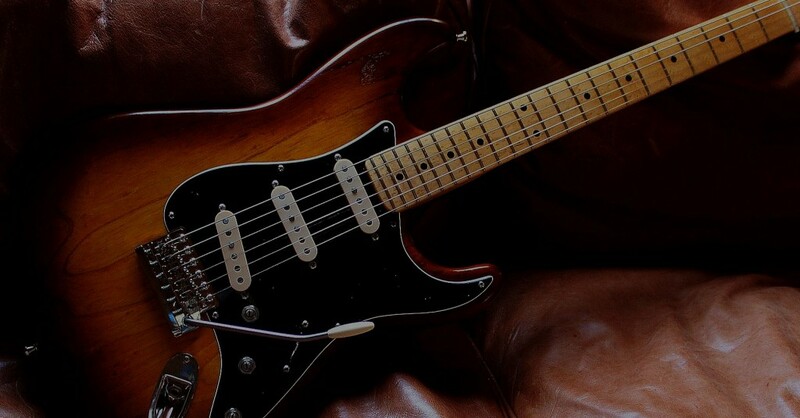 The other positions give you all the expected classic Strat tones of classic Strat players like Knopfler, Gilmour, Rodgers, Hendrix and so on. No surprises. The sounds are all top drawer. A word about the trem. Wudtone’s trem does exactly what I wanted. Basically, I was keen to avoid the two-point/locking trem approach, after all, I have Floyd Rose-equipped guitars for aggressive trem work. I was after the vintage vibe of a 50s Fender, but with improved functionality in terms of the trem. And that is the Wudtone bridge/trem in a nutshell. The modern materials and clever design solution don’t detract from Leo’s original design, but rather they enhance it by making the trem far more usable without -for me- losing any of the vintage vibe. It is impressive how hard you can work this trem without significant tuning issues. There’s a real synergy between all the constituent parts of the guitar; the Wudtone delivers a huge amount of resonance and sustain. No doubt the electronics play their part (Wuddys pups, Bourns pots, paper in oil cap, silver hook-up wire), but I sense that Wudtone’s ultra-thin oil-based finish allows the wood to sing, and clearly the top-notch hardware creates the best possible connection between string and wood. I can feel a lot of vibration through the neck when I play. These are, of course, the immeasurable and unquantifiable aspects of guitar tone, and as I work on a guitar magazine (that’s Total Guitar, folks! www.totalguitar.co.uk), it’s in my nature to talk only of specific, measurable factors. But as a player of 25 years I love to play decent guitars and this is certainly a top quality instrument. So what I have is a lovely guitar that is a true homage to the classic Fender Strat design but with the spec of my choice. What more could I want? I have spent the last few evenings playing for pleasure – something I don’t do a whole lot, as I spend all day doing music for my job. So you can certainly consider me a delighted and totally satisfied customer.